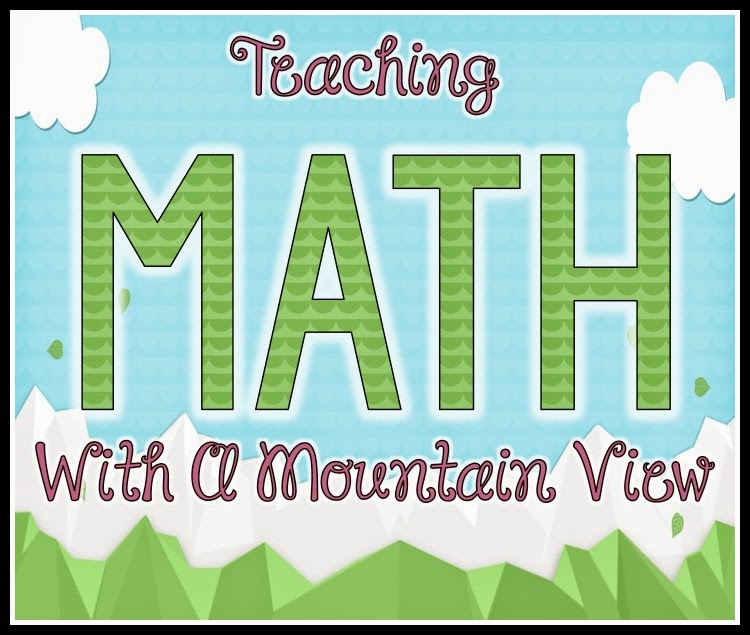 Teaching With a Mountain View: (Almost) All The Resources You Could Ever Want. Ever. 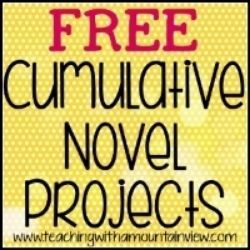 (Almost) All The Resources You Could Ever Want. Ever. 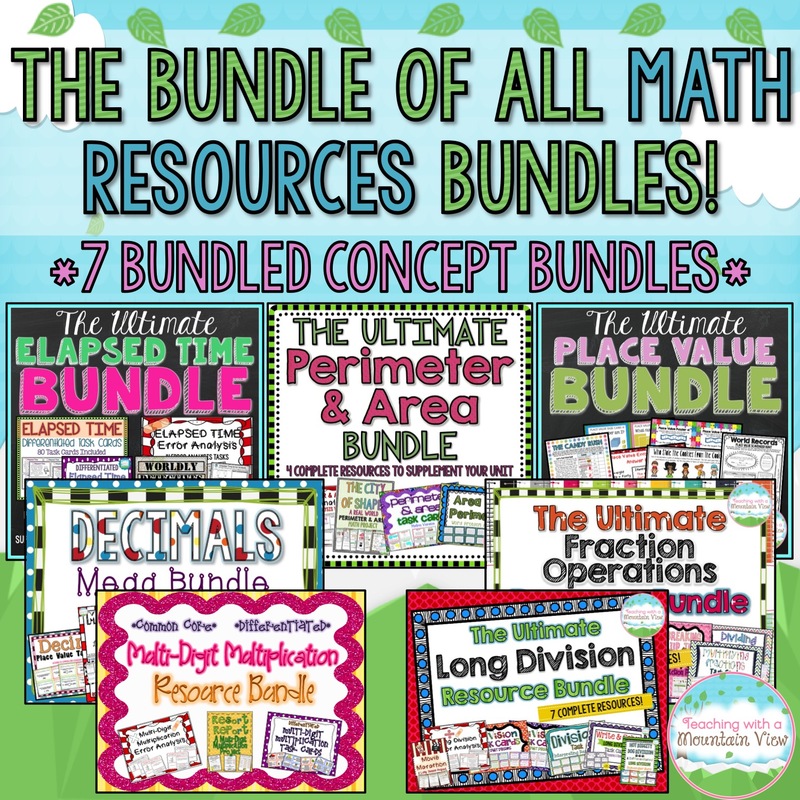 I get a lot of different requests for new resources, but the requests that I get the most are for BUNDLES! 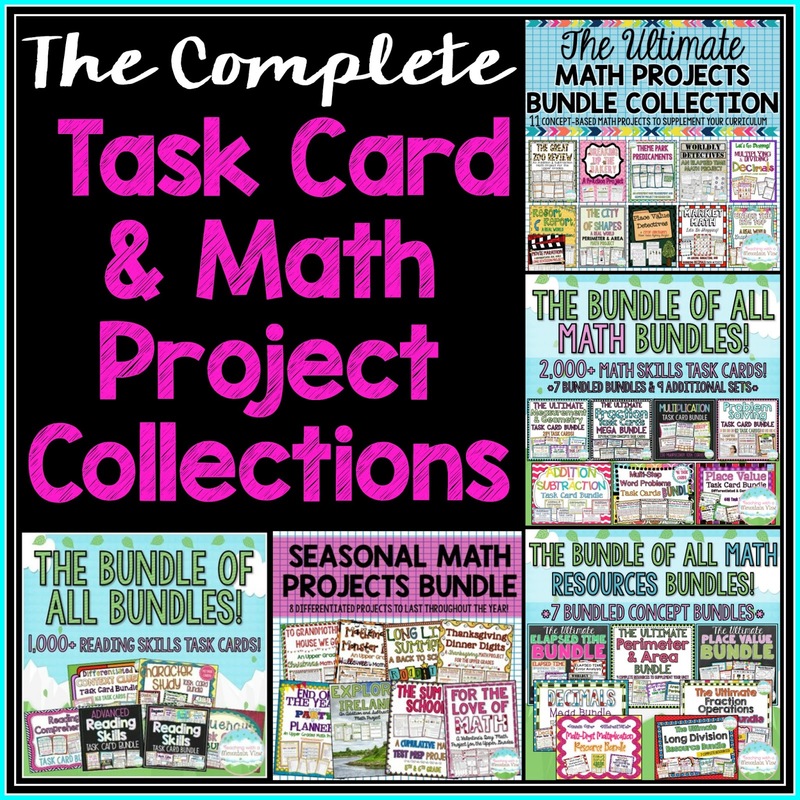 I can't count the number of times someone has asked me if I have an entire bundle of all of my math task cards or all of my math projects. 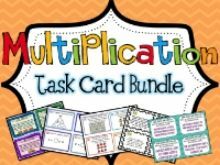 So, for the past 24 hours, I have hunkered down and created THREE more ULTIMATE bundles of task cards and math resources! 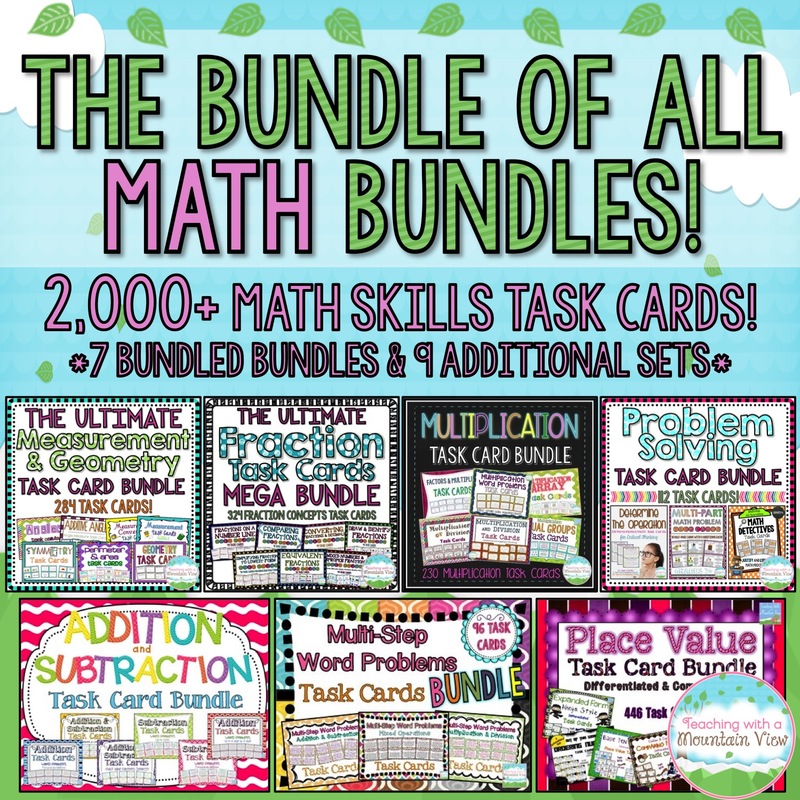 Since it can be a little bit difficult to navigate and make sure you don't get any duplicates, here's a quick guide to my math and reading bundles, so that you can easily figure out what to purchase without getting duplicates. 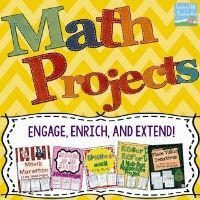 If you are ONLY interested in math projects, you now have two options for purchasing. 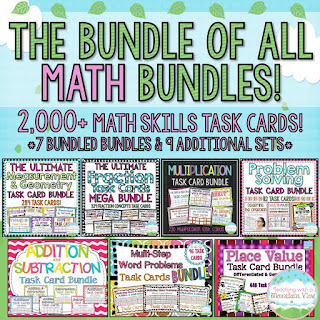 There is absolutely no overlap between these two bundles, and when you buy both, you will be the proud new owner of 19 different math projects to last you throughout the entire year. 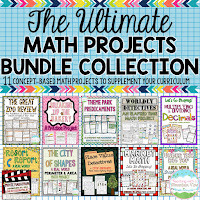 If I create more math projects in the future, I will also add them to these bundles for free. 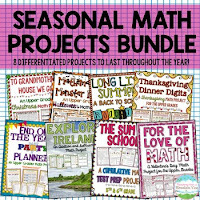 My 8 SEASONAL Math Projects are based around a specific time of year and they typically cover many different math skills. 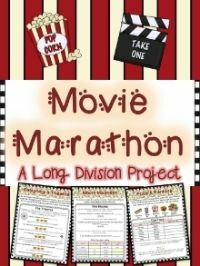 My 11 CONCEPT-BASED Math Projects are based around a specific skill or concept taught in math. 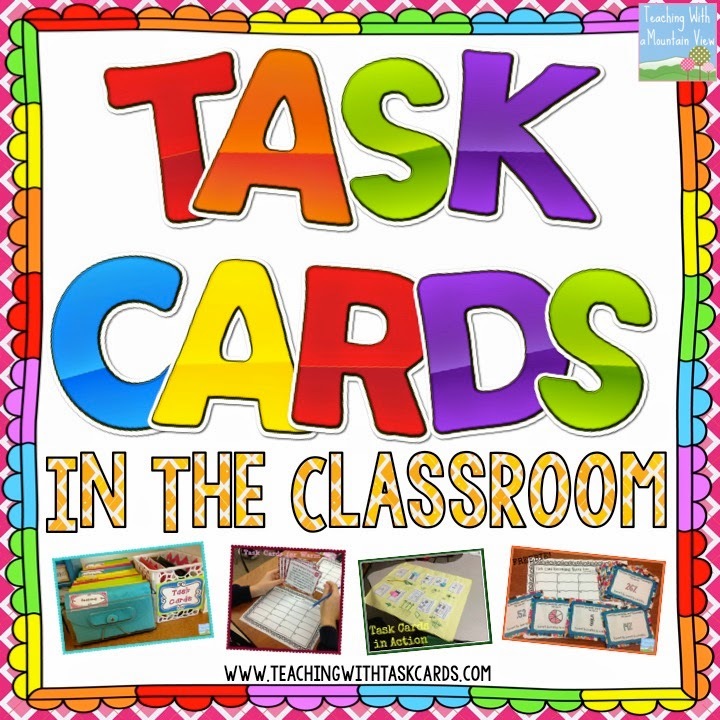 If you are interested in purchasing the vast majority of math task cards in my store, you now have one option for purchasing over 2,000 math task cards (YES! 2,000!). 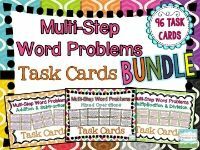 This bundle includes 7 of my task card bundles PLUS 9 Additional Sets of task cards that are not in any other bundles. 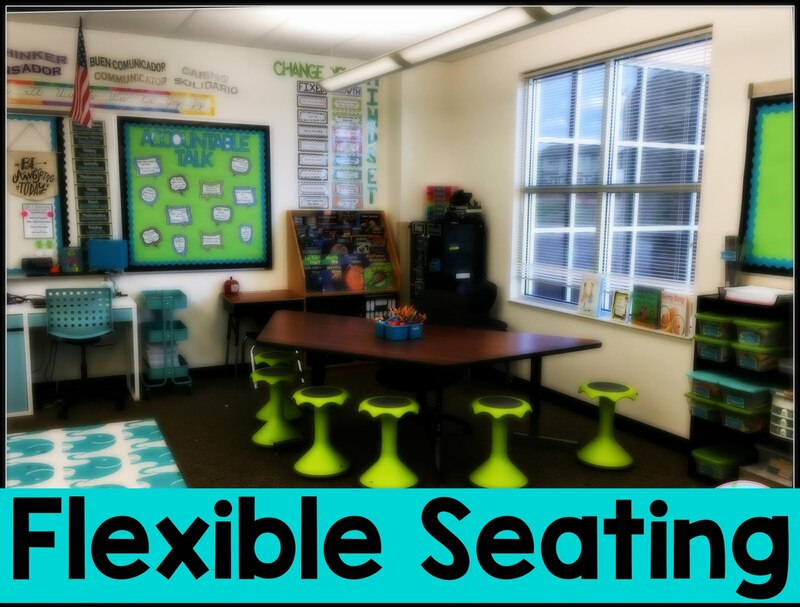 Seriously, consider yours math centers PLANNED! 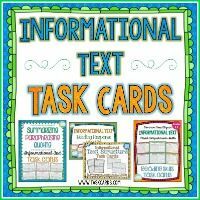 There are some task cards that are NOT included in the above bundle, and that's because they appear in Resource bundles, and not task card bundles. 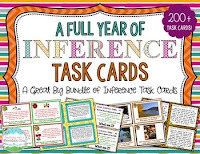 My Resource Bundles usually include my error analysis tasks, the math project for the concept, and some task cards or other activities to completely supplement your units. 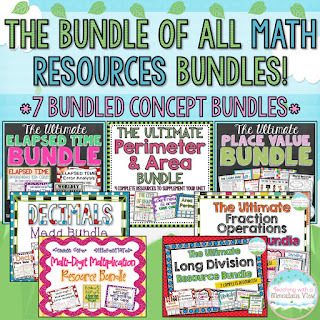 I bundled all of those Resource Bundles together, too. 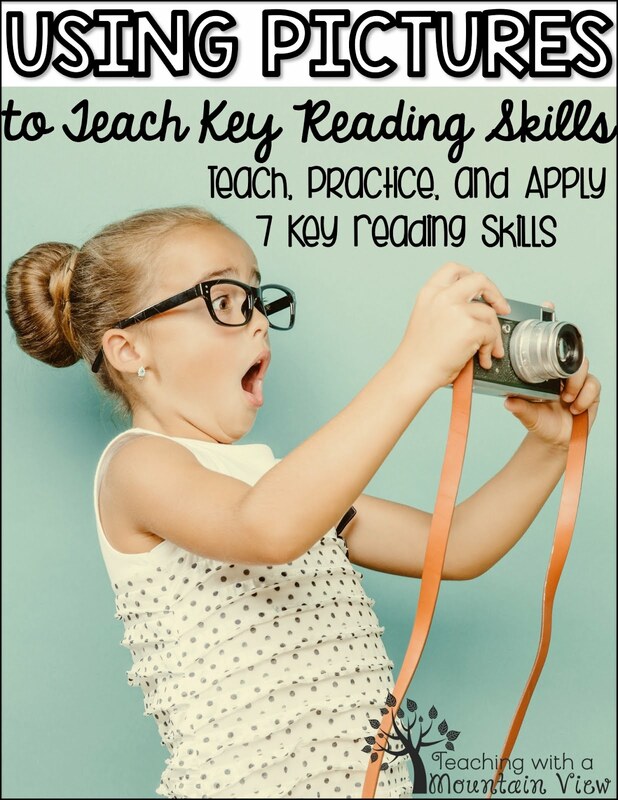 Luckily, my reading bundles are a little bit easier to navigate! 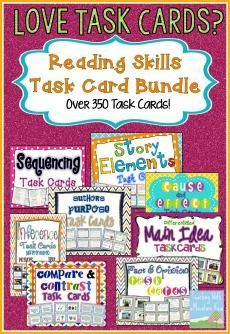 If you want to purchase MOST of my concept-based Reading Task Cards (Over 1,000 task cards), here's what you should purchase. 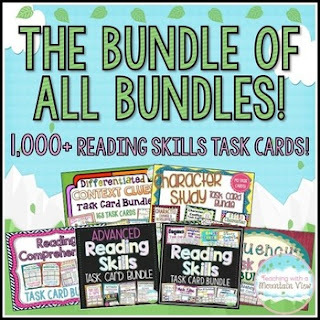 This Bundle of all Bundles is a fairly comprehensive set of all of my reading task cards! 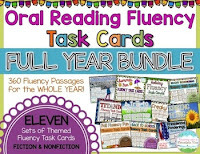 I have three more bundles of Reading Task Cards that are NOT included in this bundle. They are all FULL YEAR bundles. 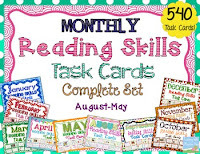 I use these seasonal cards for early finishers and monthly in my centers. I love to add some seasonal flair to our routines! Believe it or not, this isn't even close to all of my resources, but I'll stop there for now! 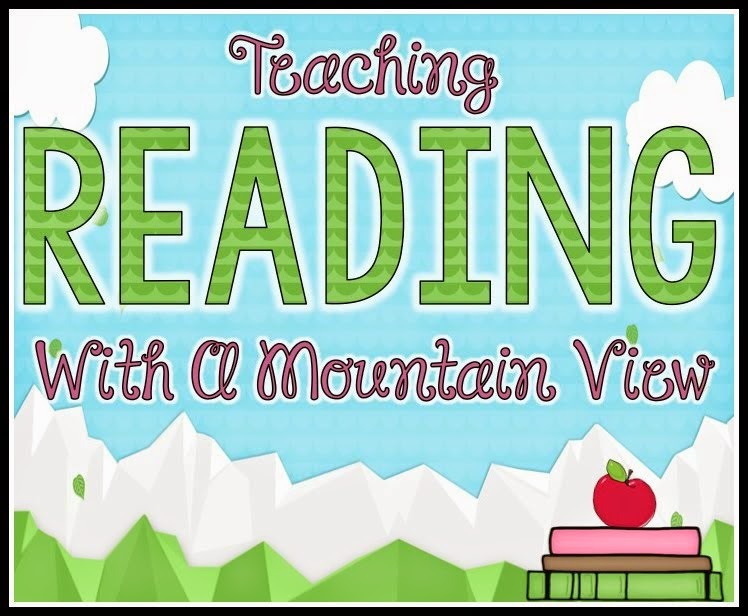 If you have any questions, please do not hesitate to leave a comment or shoot me an email. I'm happy to answer any questions. 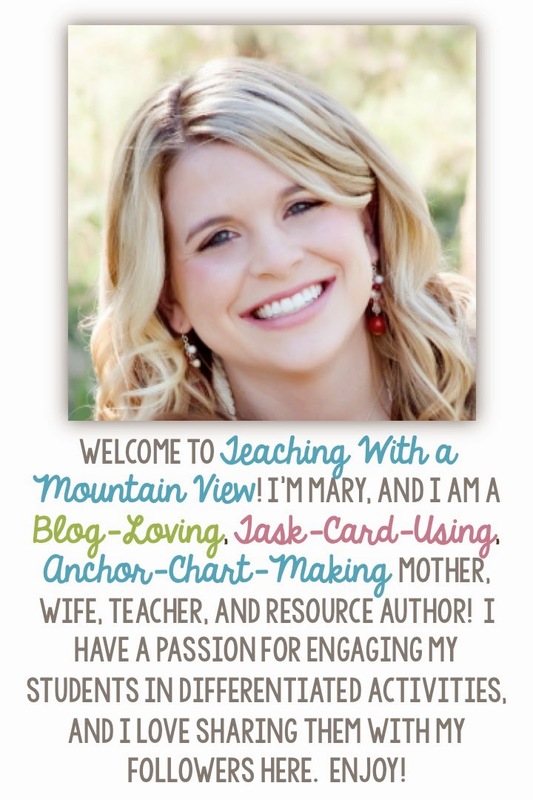 Happy teaching!